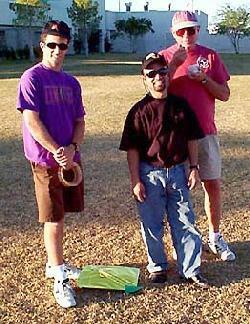 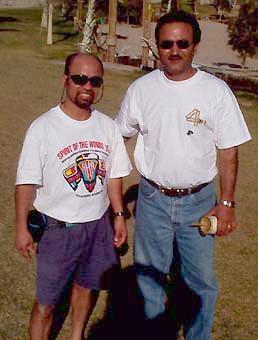 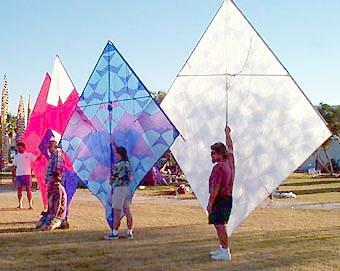 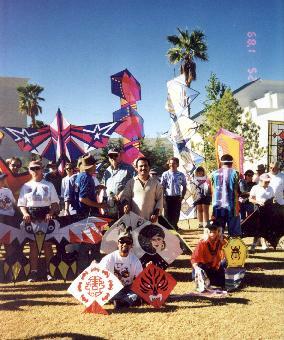 1997 - Group photo of fliers and their kites. 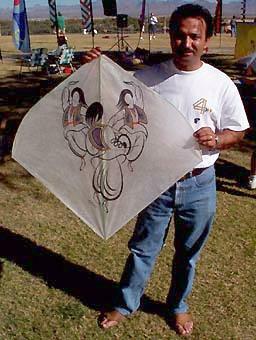 Close up of Johnny & Basir with their fighters. 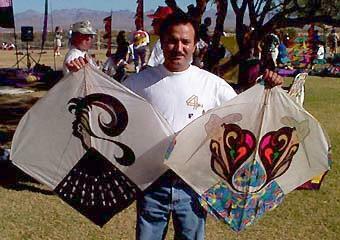 Randy Shanon & his "Run for the Border" (made from Taco Bell's burrito wrappers) kite. 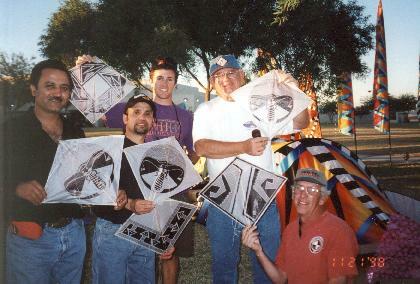 L-R: Basir, Johnny, Steve Bateman, Walter Thompson, and Rick Miller. 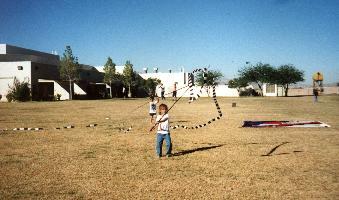 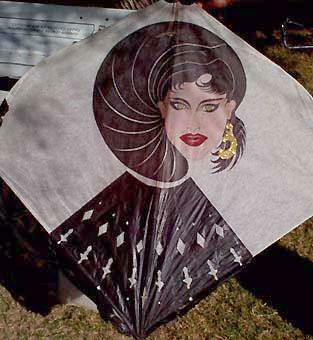 Hampton's black & white stripped kite tails attached to banner poles. 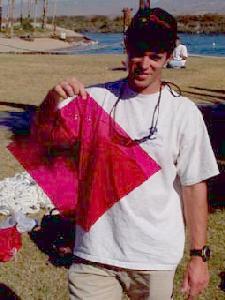 Johnny with a Tukkal kite. 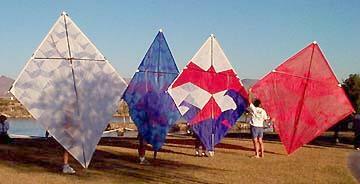 are trying their hand at fighters in the light wind. 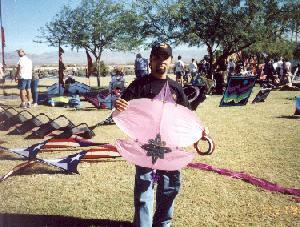 [Colorado river and the Nevada mountain range in the background] Photo by Robert Horton. 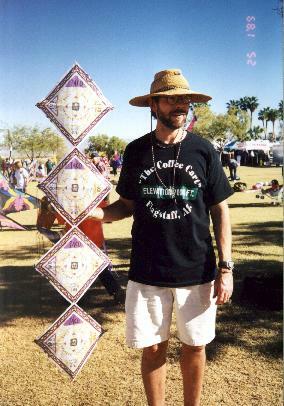 The following photos were taken by Allen Stroh. 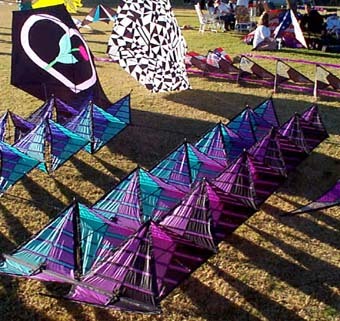 ground display for all the spectators to enjoy! 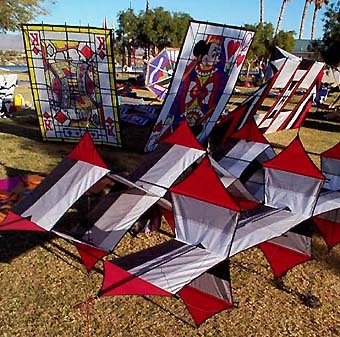 Still waiting for the wind.